This week’s makgeolli cocktail is based on the idea of a long, hard day and that feeling of something cold and bubbly at the end of it. Makgeolli is regularly mixed with what is called ‘cider’ in Korea, which is really more like sprite and is non-alcoholic. This cocktail uses alcoholic apple cider as the mixer which ups the carbonation and gives it a fruity twist. The result was a light, fresh and slightly sweet beverage that was dangerously easy to knock back. The next installment in our Makgeolli Cocktail experiments is something that was inspired by….dare we say it….breakfast! There are a number of fruit makgeolli cocktails available in bars these days, but we haven’t come across any using fresh fruit as yet. This cocktail came out thick and smoothie like, and the added shot of hard liquor could be further experimented with. 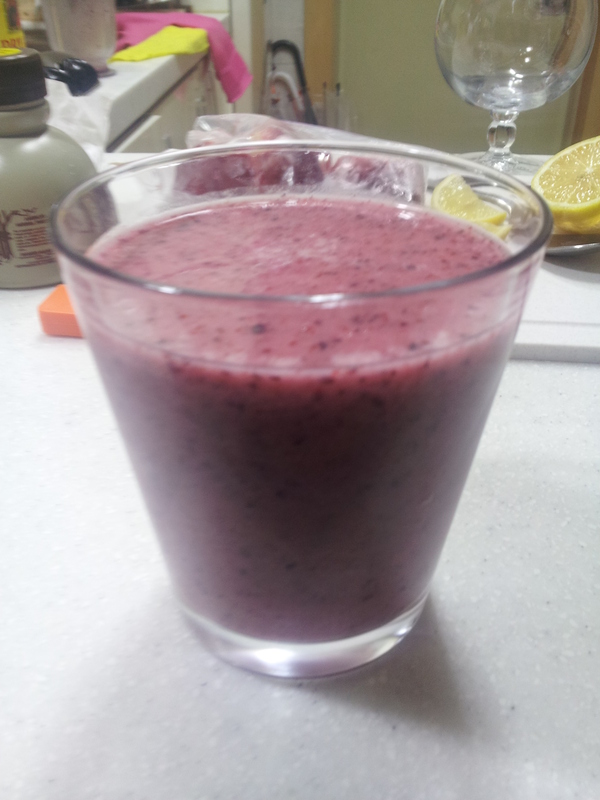 Again the trick is to have frozen fruit on hand to get that iced chill and frothy finish.